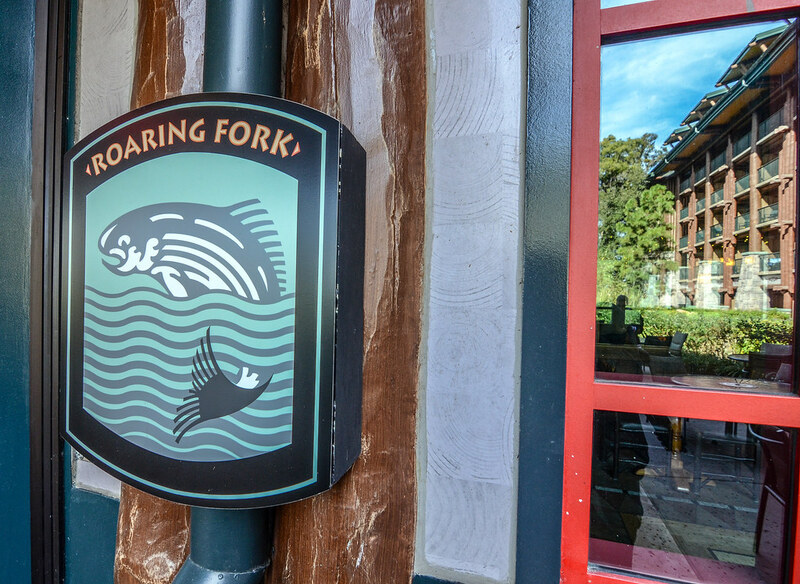 Roaring Fork is a counter-service restaurant at Walt Disney World’s Wilderness Lodge. The restaurant has a relaxed atmosphere that mirrors the hotel it resides in. Roaring Fork serves an array of American food for breakfast, lunch and dinner. While there aren’t any discounts currently offered, Roaring Fork does take part in the Disney Dining Plan as a counter-service credit. We recently had lunch at Roaring Fork, this review will cover that experience along with thoughts on the restaurant’s value and some photos. Wilderness Lodge is becoming one of my favorite places in all of Walt Disney World. Beautiful architecture matched with seclusion from the parks makes for a setting that is different from anywhere else throughout the resort. Taking the boat ride from a hectic Magic Kingdom to Wilderness Lodge in the middle of the afternoon is a perfect way to relax for a few hours. That relaxed atmosphere is felt in Roaring Fork. 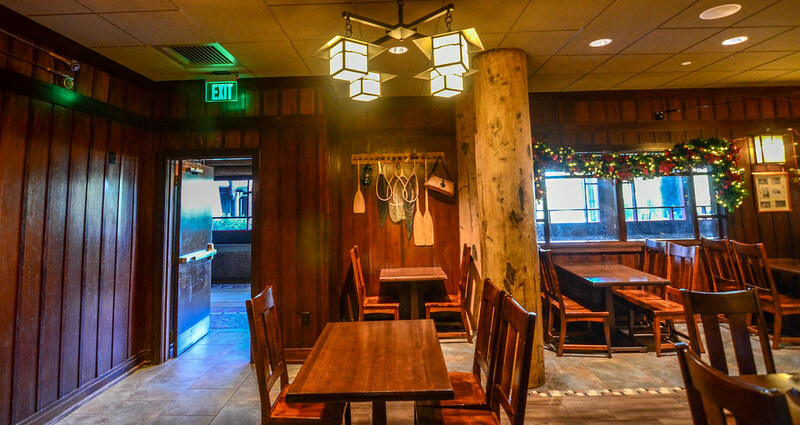 Down a short hallway from the stunning Wilderness Lodge lobby, Roaring Fork has a fairly simple seating area. Warm wood tones make the area inviting. Hanging on the walls are different decorations that all seem to have to do with fishing. 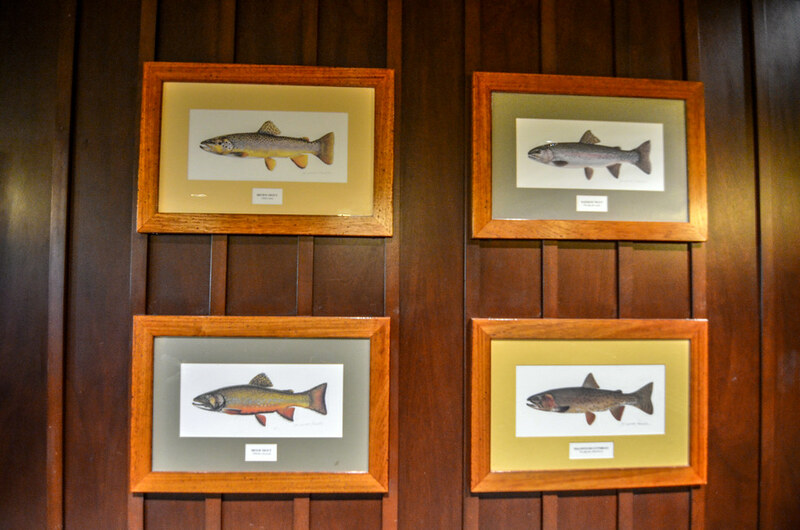 Knowing that Wilderness Lodge is based on nature experiences and great national park lodges, it’s logical to infer that Roaring Fork is supposed to be a little restaurant for fishermen to stop in before or after spending a day on the lake. Overall, the atmosphere isn’t spectacular but it does fit in with the rest of the hotel and is an inviting place to have a meal. The room directly across from the seating area is where Roaring Fork’s food and ordering station is. Along with a full menu, there are several grab & go areas. I was impressed by the amount of baked goods in the case, all of them looked pretty good. In that same room, there is a somewhat open kitchen concept where you can watch chefs make sandwiches and use other ingredients. The whole area is extremely clean and gives the impression that all the ingredients are very fresh. In that same area is the ordering station and menu. Most of the lunch and dinner menu consists of sandwiches, salads, and flatbreads. Weirdly Chicken & Waffles are thrown in there with those other options. I’m guessing they weren’t selling enough Mickey Waffles for breakfast so they decided to sell them for lunch too? If you want a closer look at the menu, click here. 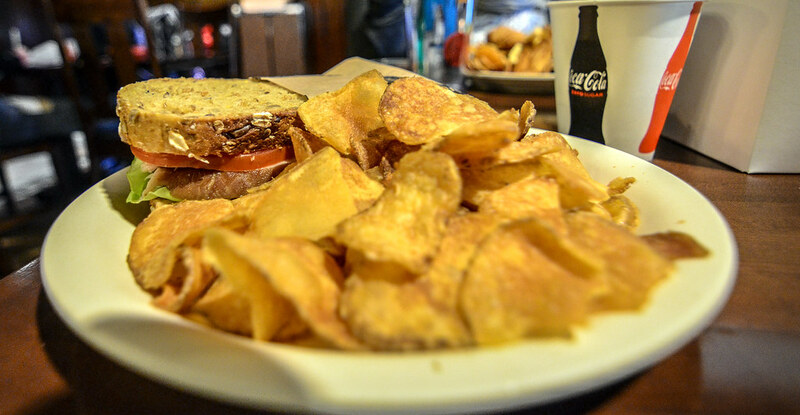 I went with the House-smoked Turkey Sandwich and chips for lunch. This turkey sandwich came on multigrain bread with Tomato, Lettuce and Chipotle Aioli. Honestly, I was surprised by how much I enjoyed this. The turkey was the highlight as it was very fresh and had a nice, smoked flavor. The Chipotle Aioli was a nice touch as it added a little kick to the sandwich while augmenting the turkey. I can’t say that I’m a huge fan of sandwiches overall, but this was a great surprise. It was very fresh and the meat was delicious. Unfortunately, I didn’t think the chips lived up to the sandwich. That aside, I would definitely get this sandwich again. Melissa went with the Gourmet Grilled Cheese. Along with a typical Grilled Cheese this included Tomato and Arugula. Typically, this would come with Caramelized Onions on it but we went without. Melissa was really impressed with this sandwich. It didn’t have the heavy, greasy feeling like most grilled cheese sandwiches but instead felt fresh and fairly light. The bread on both of our sandwiches was delicious and everything tasted very fresh. The fries were typical Disney World fries but we both liked them better than the chips. I got a Blueberry Danish from the bakery case and enjoyed it. 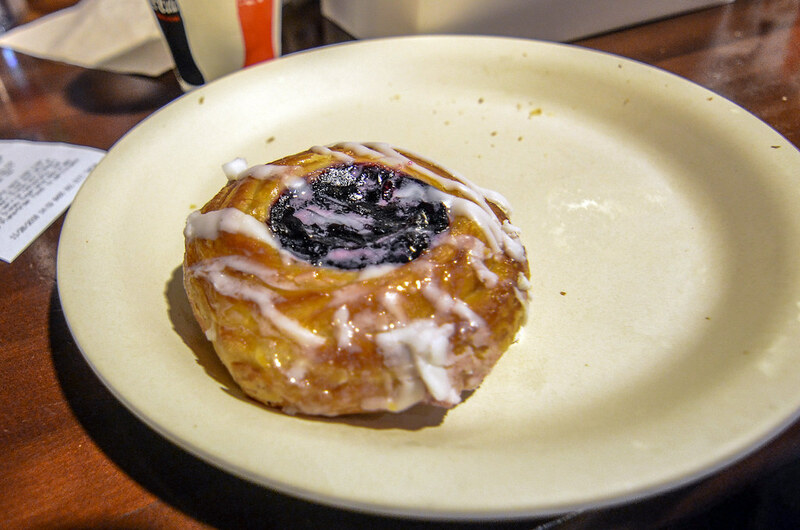 With that said, it wasn’t particularly memorable or much better than a typical Blueberry Danish. 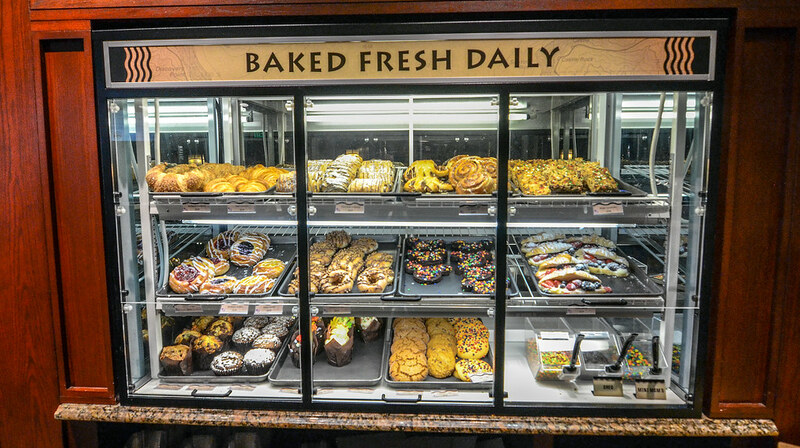 We tried a few other items from the bakery case and felt the same way. Frankly, this was probably on us because we didn’t try anything original instead opting for things that you can have throughout Walt Disney World. All of the entrees at Roaring Fork are right around $10, making this a strong value for those paying out-of-pocket. For those using the Disney Dining Plan, the value isn’t as high but the food we tasted more than made up for it. Overall, Roaring Fork is one of the better counter-service restaurants at Walt Disney World considering the food, value and location. 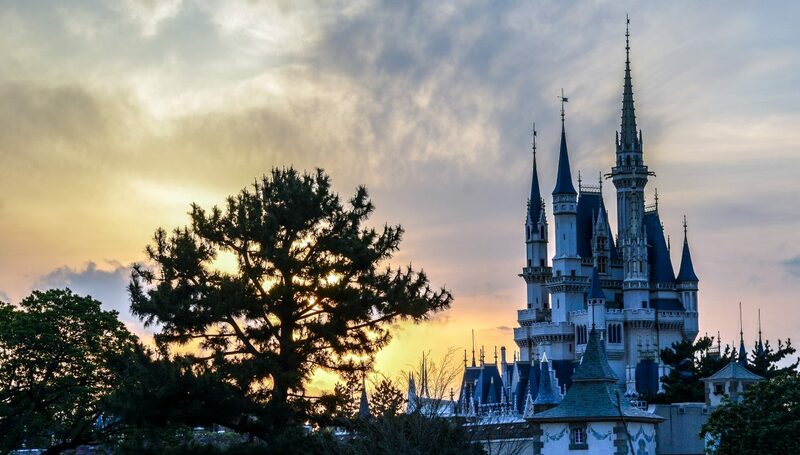 It’s near the top of our lunch/dinner recommendations for those spending a day at Magic Kingdom. Some of that is due to it being at Wilderness Lodge, but take that away and Roaring Fork still holds up. 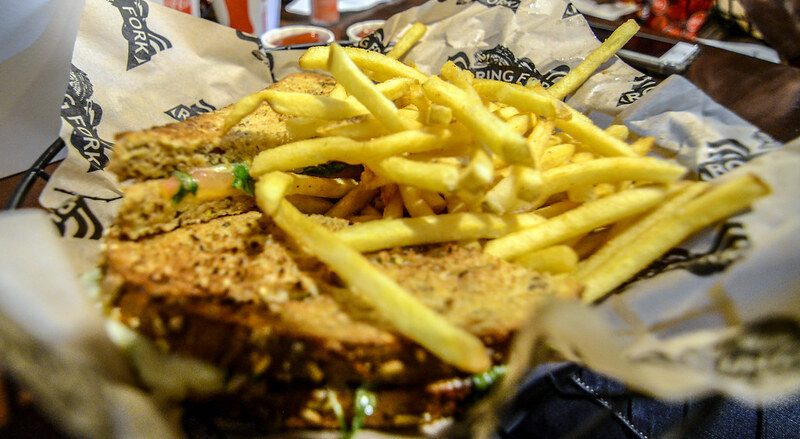 For those that enjoy sandwiches or lighter meals, Roaring Fork is one of the best counter-service spots in all of Disney World. Have you tried Roaring Fork? Let us know your thoughts or questions on the restaurant in the comments! Planning a trip to Walt Disney World? Check out our Disney World Trip Planning Guide to help you out. If you enjoy what you are reading here on Wandering in Disney please share this post with your friends, as well as like our social media pages. You can also subscribe to the blog via WordPress or email. All of those links are on the right side of this page. Thank you for reading, we really appreciate it!